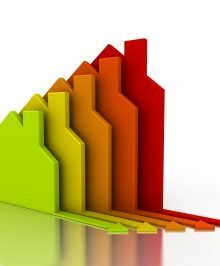 The Standard Assessment Procedure (SAP) is the methodology used by the Government to assess and compare the energy performance of dwellings, and to assess compliance with Building Regulations Part L1. Our team of experienced experts are qualified to produce SAP calculations and Energy Performance Certificates for both new-build and existing dwellings, and have successfully delivered thousands of SAP assessments. Our wealth of experience and detailed technical knowledge means that we can identify the most suitable and cost-effective strategies to help you achieve increasingly challenging energy and CO2 targets. We invest time and resources to research the latest technologies, calculation procedures, Building Regulations and planning policy. This commitment, combined with our meticulous attention to detail, helps you significantly reduce project risk levels by identifying the most cost-effective ways to be compliant.